All-new Maruti Suzuki Ertiga MPV: What has changed? The all-new Suzuki Ertiga MPV was unveiled last week at the 2018 Indonesia International Motor Show. Maruti will soon launch the 2018 Ertiga in the Indian market as well. Here are the key changes on the new MPV compared to the current model, which if we may add, has been really successful in the Indian car market. 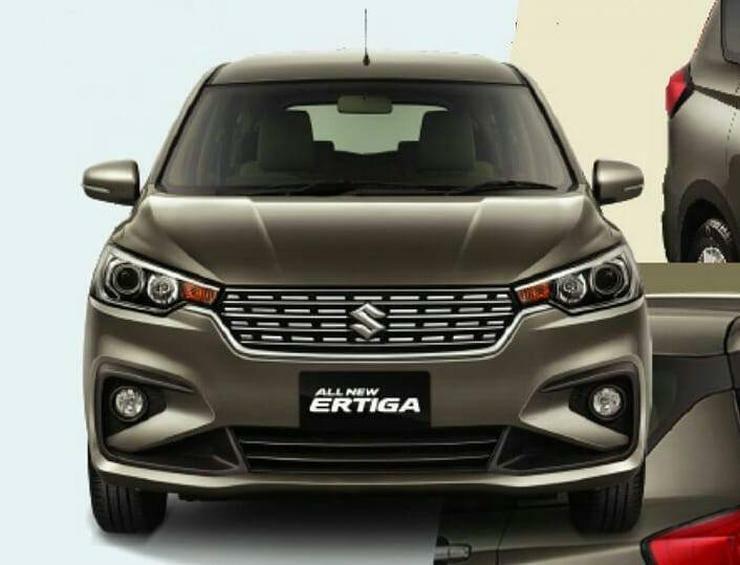 The first thing that’ll strike you about the new Ertiga is its looks. The MPV looks a lot fresher than ever before, and now has an upmarket design. It looks edgier, and somewhat like the Toyota Innova Crysta’s little brother, and this is a good thing. Everyone may not like the kink on the D-pillar though. The new Ertiga petrol gets a bump up in both power and torque thanks to the new 1.5 litre K-Series petrol engine, which now makes 106 PS of peak power and 140 Nm of peak torque. The new Ertiga sold in India is likely to get an all-new, more powerful 1.5 litre turbocharged diesel engine as well, the specifications of which remain unknown for now. Like the Baleno, new Swift and new Dzire, the 2018 Ertiga hops on to the HEARTECT platform. At the heart of this new platform lies high tensile, light weight steel that’s responsible for improving body stiffness and reducing kerb weight. Although the new Ertiga gets larger in size, it weighs lesser. This should translate into better pick-up and fuel efficiency. The new Ertiga is taller, wider and longer than the outgoing model although it does retain the 2,740 mm wheelbase of its predecessor. The increase in overall dimensions means that the vehicle’s interiors get roomier, making life more comfortable for its occupants. Apart from getting roomier, the interiors look a lot fresher than before with a brand new design. Beige dominates the proceedings and the showstopper is the large, infotainment panel on the dashboard that’s touchscreen enabled. Maruti calls it the Smartplay interface, and Android Auto and Apple CarPlay should be standard on this infotainment system.